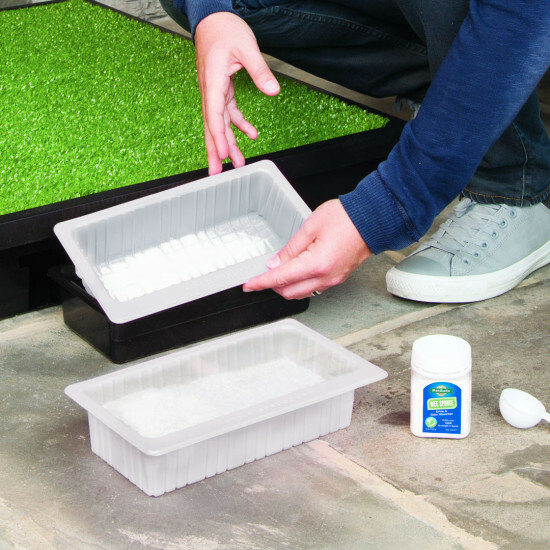 The revolutionary Pee Pod is a disposable container that fits neatly inside the waste container of the Pet Loo. 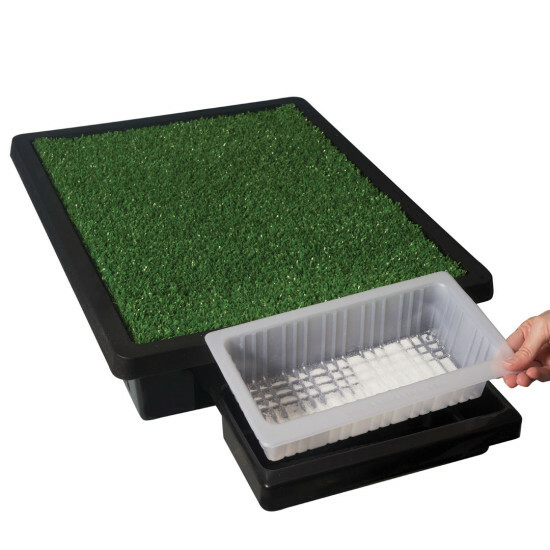 When your pet’s urine touches the Wee Sponge powder, it solidifies into a gel, trapping liquids and airborne odors. The Pee Pod can hold about 2 liters of liquid. Simply throw out the pod and replace it with a new one every few days. 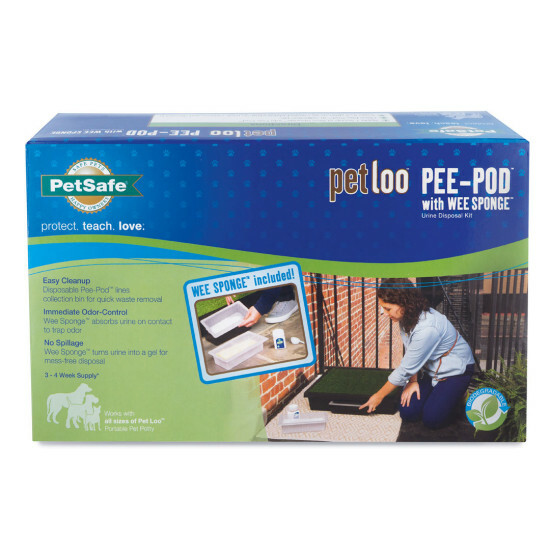 Pee Pods fit all sizes of the Pet Loo. 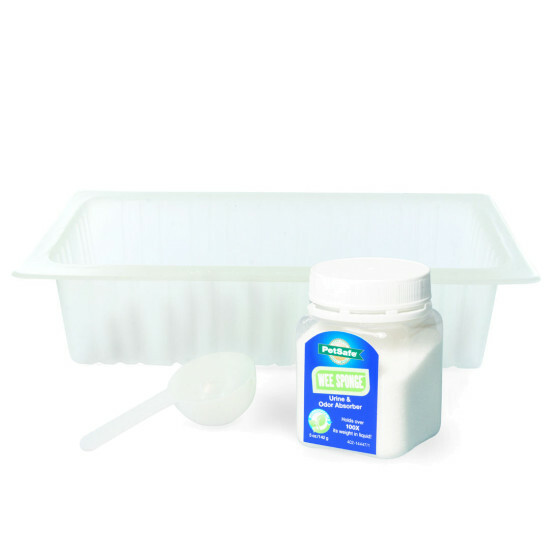 One pack includes 7 pods plus the Wee Sponge powder and scoop and lasts about 21-28 days, depending on how often your pet uses the Pet Loo.